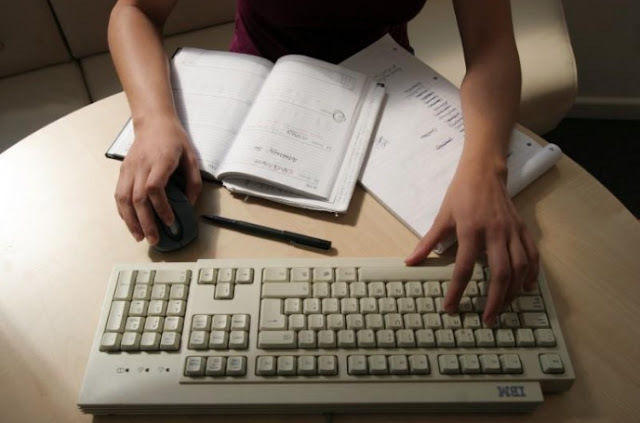 A generic picture of a woman working in an office sitting at her desk typing on a computer. STRASBOURG - Companies need to make sure that employees are aware in advance of management monitoring of their work email accounts, the European Court of Human Rights ruled on Tuesday in a landmark privacy case. In a judgment in the case of a man fired 10 years ago for using a work messaging account to communicate with his family, the judges found that Romanian courts failed to protect Bogdan Barbulescu’s private correspondence because his company had not given prior notice that it was monitoring his communications. The company had presented him with printouts of his private messages to his brother and fiancée on Yahoo Messenger as evidence of his breach of a company ban on such personal use. The European court in Strasbourg ruled by an 11-6 majority that Romanian judges, in backing the employer, had failed to protect Barbulescu’s right to private life and correspondence.